A collaboration between Mad Hatter Juice and Milkman E-Liquids presents I Love Milkman, Mango Milk. If you’re seduced by tropical fruits as well as creamy flavors, you’ll absolutely fall in love with this one as soon as you take your first puff. This smooth and fruity treat is simply exceptional. Each hit soothes your thirst with that tropical taste before soaking your palate in luxuriously silky milk. The inhale exhilarates your taste buds with that bright, tangy mango taste. You’ll instantly feel like you’re eating a mango fresh from the tree as the juice rushes down the throat. Your thirst will be quenched, and you’ll feel profoundly refreshed as the rich milk flavor starts to bathe your tongue. 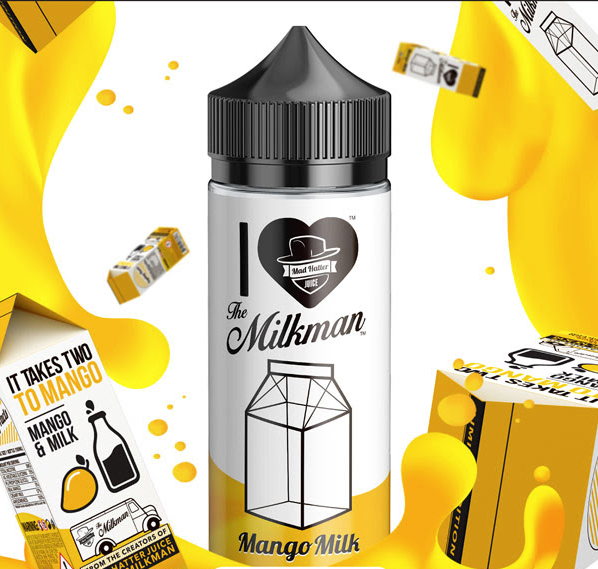 When you exhale, the sweetness of the mango becomes intense as the milk’s velvety creaminess leaves every taste bud absolutely soaked. 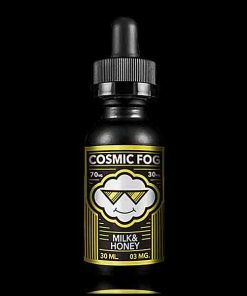 Available in 0, 3, and 6 milligram levels of nicotine.